I'll be honest. I've not personally used this - yet - but I'm itching to! 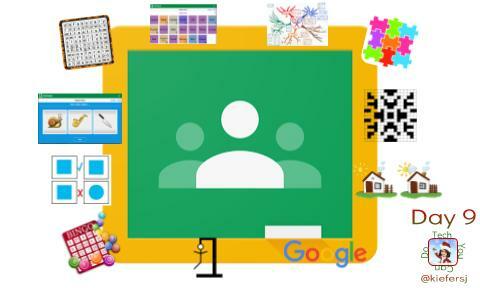 I am excited to use what we already have (Google Classroom) in a new way that looks to make the learning not only fun, but more meaningful. Lucie Renard, the author, proudly points out BookWidgets are "officially listed" on the #withClassroom website on the "Use interactive learning material" tab. This Google site indicates which apps will integrate with Google Classroom. Let's be honest, if Google is including it on their site, you know it has to be decent. Lucie shares TEN widgets you can integrate with your Classroom as well as suggestions for each ones potential use. Personally, I'd love to try out the Jigsaw puzzle (#3) and Spot the Difference (#7). How cool would that be for a student to log in and see something like this waiting for them ... and be reinforcing what we've been studying?! I see it with students I work with, but also in my own home, when even a little bit of fun is included, the learning is deeper and richer. As a teacher, I'm always on the look out for a tool that can help me with this. BookWidgets looks like such a promising resource, I'm definitely going to dig in deep on this one!